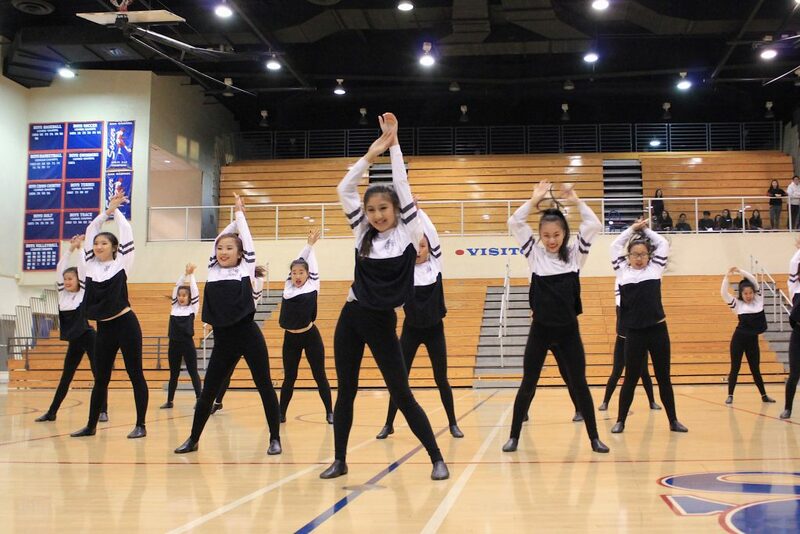 The annual Spring Dance Showcase featured past pep rally performances as well as individual, duo, trio, and small group pieces performed by Colorguard, Choreo, and All Male, was held in the Matador Arena on April 27. 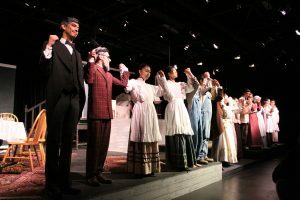 An audience of more than 150 people came to support the three performing groups. The showcase started with Choreo’s award-winning pom routine followed by a sneak peek of All Male’s and Colorguard’s Academic Pep Rally (APR) routine. Complications with the speakers arose when it was junior Cindy Feng’s turn to perform her individual piece. The students in the audience did not seem surprised; however, it did startle some people in the audience, including the performer herself. There was an intermission in the middle of the showcase for performers to rest and the audience to socialize and visit the snack bar. Afterwards, an emotional, contemporary duo piece was performed by All Male dancer senior Peter Khant and Choreo dancer junior Cindy Feng. In the audience, it was Colorguard performer sophomore Levin Chang’s first time performing and attending a showcase. He gave many shoutouts to show his support for his friends performing. Although Chang did not perform in any routines other than with his team, he believed it was important to make the performers feel special before performing. At the end of the showcase, the current Choreo captain, senior Sara Hang and co-captain Anny Li Wu announced next year’s captain and co-captain: juniors Carmen Liang and Cindy Feng. Before the announcement, however, Choreo performed their Spring Rally routine for a final time, this time with a shoutout from their injured captain.